Everyone is familiar with the old adage about a chain and its weakest link. Well, when it comes to conveyor belting, that weakest link is typically the splice. In fact, it is estimated that nearly 80 percent of all conveyor belt failures are due to improper splicing. So, why do many suppliers today not pay closer attention to this critical component of overall belt performance and longevity? That’s a good question. This paper will provide a brief overview of the three most common types of belt splices as well as an inside look at the most prevalent splice failures to help end users select the best option for their specific application. As is often the case, taking a little time up front to learn more about available options and potential pitfalls will lead to a purchase more likely to pay dividends over the lifetime of a belt. What are the most common splicing techniques? Here’s an overview of the three most frequently utilized and effective belt splices – finger splicing, skive splicing, and clipper splicing. 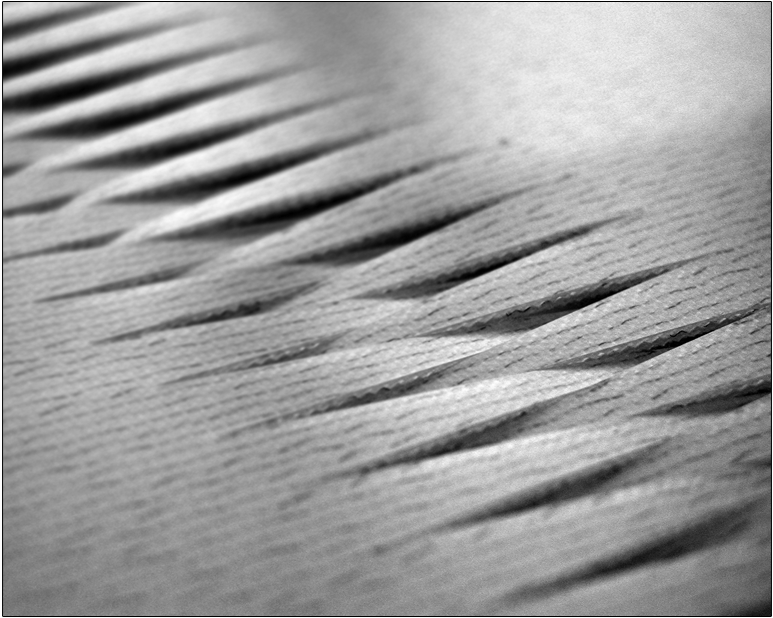 To achieve a finger splice, a zigzag pattern is cut into both sides of the belt, creating several interlocking “fingers.” These fingers are carefully aligned, then woven together, and finally thermo melted to make a splice that is typically very strong and flat. While generally considered among the most effective splicing techniques, this method also requires a high degree of precision and accuracy to ensure belt properties, like coefficient of friction, are maintained throughout the splice area. A skive splice is a more basic approach, but can certainly be effective in many applications. To create this splice, a single cut is made across the belt at 90 degrees and the two belt ends are then thermally fused. Many times, such as when cleats are added to the belt, the skive area is cut at an angle so the pressure on the splice is dissipated as it goes over the end rollers. A skive splice can also be modified by splitting the belt and overlapping one belt under the other before welding the belts together. Modified skive splices are typically much stronger, but if not created carefully, there is often a bump in the belt near the splice, which can significantly alter belt performance. Clipper splices, the most basic of the three splices presented here, utilize metal or plastic fasteners to hold the belt ends together – much like those used on grocery store conveyors. The primary advantage of a clipper splice is the fast and easy belt change this design affords. However, it is not uncommon for the plastic or metal clips to break off, which could cause a variety of issues – especially in food-related applications. As an additional disadvantage, when a clipper splice is utilized, the splice area always rises slightly above the surface of the belt, which can easily damage the product being conveyed. There are four major problems that typically occur at the splice, let’s take a closer look at each one. Mechanical breakdown of a splice is usually the result of improper curing temperature or an abbreviated dwell time. To create an optimal bond, it is critical for the temperature to be precise when belts are heated. Plus, every belt must be cooled for an appropriate length of time following this process. Of course, the ideal temperature and dwell time can differ greater from one type of belt to the next. This is why it is important for end users to work with a supplier that has significant experience with many different types of belts and understands the unique properties of each. If a splice is performed incorrectly, it often results in a slightly crooked belt, which will never provide reliable performance. To check for proper alignment, simply watch the distance between the belt and the frame near the end of the conveyor. If there is a noticeable fluctuation in the spacing, the belt was likely assembled improperly. The most reliable belting companies have the procedures and equipment in place to ensure every splice is straight. The best of the best will even test new belts on a conveyor before the product is shipped as a final check for proper tracking. On some belts, the surface area or texture of the belt is different near the splice when compared to the rest of the belt. Unfortunately, depending upon the specific application, an inconsistent surface area can lead to some pretty costly issues. This inconsistency is usually caused by an improper cover sheet being utilized when the belt is heated. When most splices are created, a cover sheet is added to the heat press to ensure the texture and surface property of the belt is maintained. 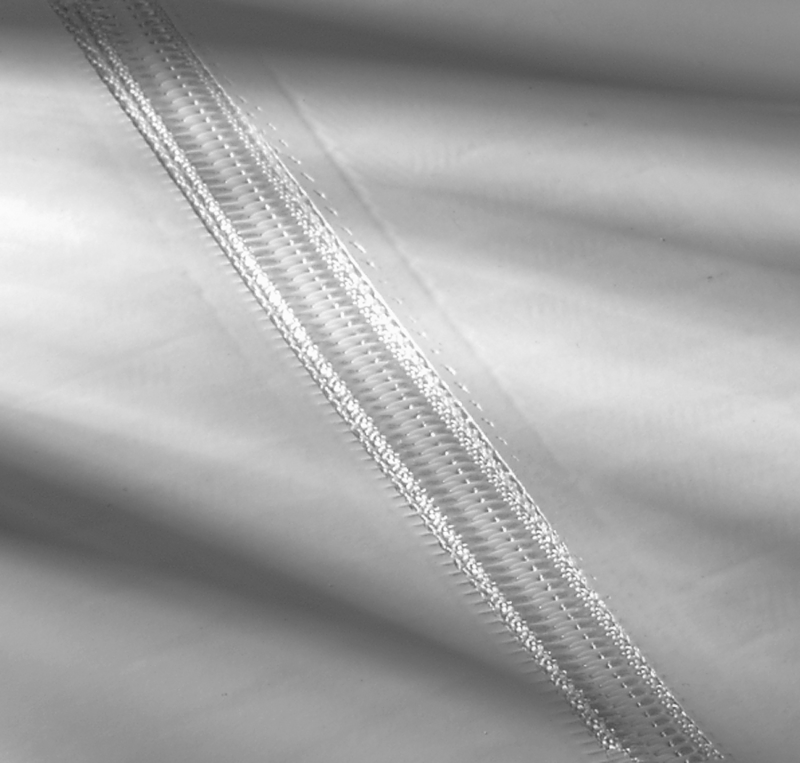 Unfortunately, some suppliers utilize the same sheet regardless of the type of belt being treated, which often leads to performance-altering defects. The v-guide splice under the belt is a very common failure point. The majority of suppliers utilize a skive splice for the v-guide, which is not ideal, but will typically work. Other suppliers choose to eliminate the v-guide in the splice area altogether, which usually causes inconsistent belt tracking as the splice goes over the end rollers. Without question, the best method for v-guides is finger splicing. A finger splice provides the greatest amount of surface area for v-guide adhesion and also helps ensure that the surface of the belt remains nice and flat. Based on the frequently-observed issues presented in this paper, it is very important for end users to work with a supplier that truly understands the different types of splices. It is also imperative to look beyond the initial cost to consider the price of replacements parts as well as the loss of production that usually accompanies a belt change. Don’t be fooled by a low-cost provider who simply offers inferior product. Going with a belt supplier that cuts corners or lacks the necessary expertise will undoubtedly end up costing a manufacturer over the long run. Instead, be sure to partner with experienced suppliers who work with precision conveyors and regularly test their belts to ensure they will stand up in a variety of environments. Also, work with companies that realize the importance of belt splicing when it comes to delivering overall conveyor performance and return on investment – because any conveyor is only as strong as its weakest link.